This WordPress Tutorial is useful for every beginner who doesn’t know how to add Google Analytics code to WordPress without using a Plugin. If you are having difficulty in adding Google Analytics code to your WordPress site, there is a much simpler way for adding Analytics code i.e with the help of a WordPress Plugins called “Google Analytics Dashboard for WP“. “GADWP” WordPress Plugin is a free plugin that lets you access your google analytics data such as page views, new users, sessions, real-time users, etc within the WordPress dashboard. You can track your audience behavior, keywords that are getting traffic, social and organic views. Google Analytics Dashboard for WP is a free WordPress plugin that allows you view your analytics report on the WordPress dashboard using the Google Analytics tracking code. “GADWP Plugin” will automatically install the tracking code into your WordPress site and allows you to view complete google analytics stats in your administrator dashboard. Step #1: Login to your WordPress dashboard. 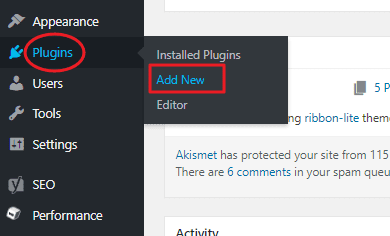 Navigate to Plugins > Add New. Step #2: Search for GADWP in the search box located at the top-right corner. Step #3: The search result will show the plugin- Google Analytics Dashboard for WP by Alin Marcu. Click Install Now button to install the plugin. Then press Activate in order to activate the plugin. Step #4: Now you need to authorize the plugin to install Google Analytics on your website. On your WordPress dashboard go to Google Analytics >General Settings. Step #5: Press the Authorize Plugin button. Step #6: On the next screen, Click the red link “Get Access code” to get your access code. A new window will pop-up ask you to sign in to your google analytics account to authorize the Google Analytics Dashboard for WP. In there, you’ll find access code, just copy the code. 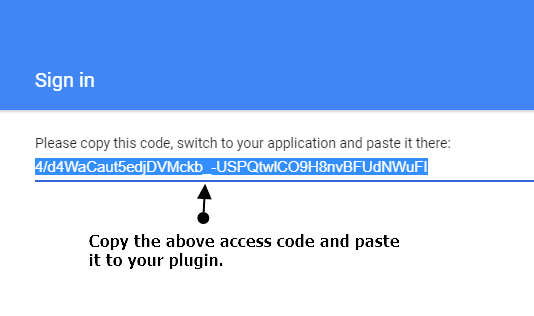 Step #7: Paste the access code into the field “Access Code” and click Save Access Code. That’s it you have successfully added Google Analytics to WordPress Dashboard using GADWP Plugin for your WordPress site.